All women educational leaders will have the opportunity to learn, reflect, and enhance their personal and professional lives through collaboration, mentoring and networking. To provide professional development and support for Santa Clara County Women Leaders in Education that enhances their leadership, management, and communication. Time to tell your story and reflect on your practice? Click here to see the collection of profiles as we continue to celebrate empowering women. Join Dr. Mary Ann Dewan, Santa Clara County Superintendent of Schools, and Rosie Rios, the 43rd Treasurer of the United States, to network with one another and discuss how to unlock greater leadership potential in ourselves and others. Free for ASCA members plus one guest is complimentary. Non-members $10. Includes breakfast, networking, and engaging presentations. Looking for inspiration, books and other resources that support your work as a woman in education? Check out this guide, curated by Region 8’s WLN team, as a resource to lift up both yourself and others. 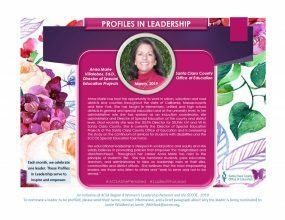 WLN believes in honoring exceptional Santa Clara County Women Leaders in Education who have demonstrated superior leadership and passion for serving others while making an impact and leading with purpose. This is an opportunity to nominate a woman who you feel is an inspiration and role model to women in ACSA Region 8. 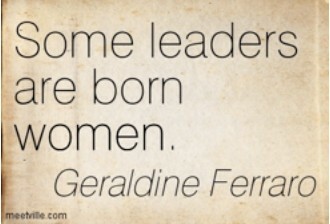 To nominate an inspiring woman, go to bit.ly/WLNinspire. Nominations are due September 15, 2018. Join Dr. Mary Ann Dewan, Santa Clara County Superintendent of Schools and author Anese Cavanaugh, to network with one another and discuss how greater leadership potential can be unlocked through attention to intention, energy, and presence. ACSA members are encouraged to bring a colleague. For more information see the flyer Empowering SelfEmpowering Others (3) and register at http://bit.ly/wlnsept13. More details and registration information will be posted here soon. November 18th, 2015 4:00 – 6:00 p.m.